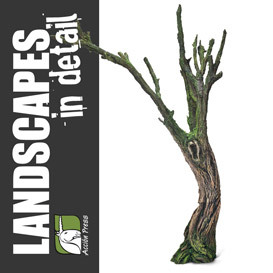 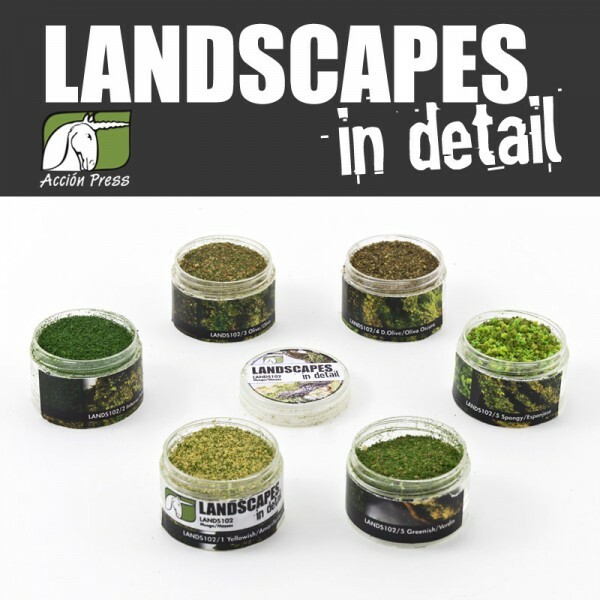 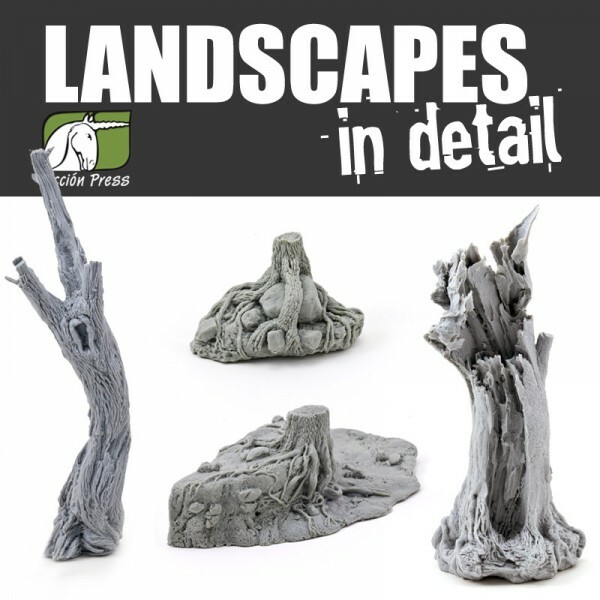 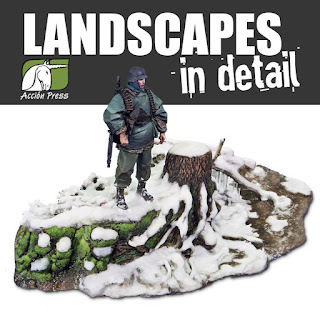 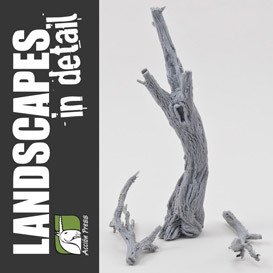 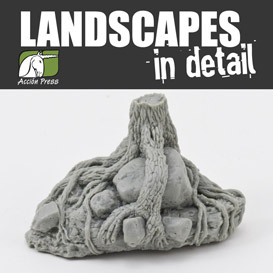 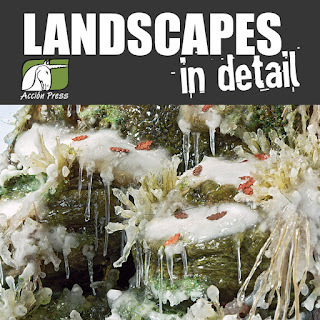 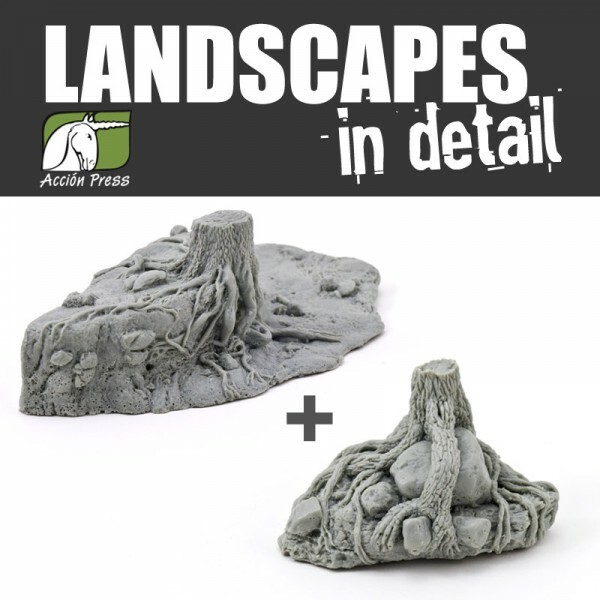 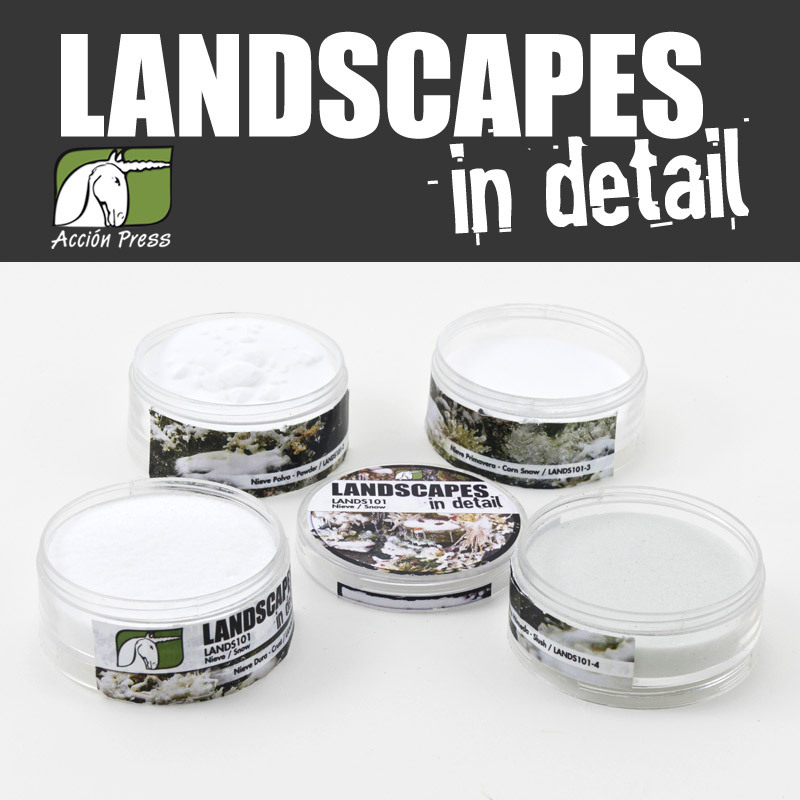 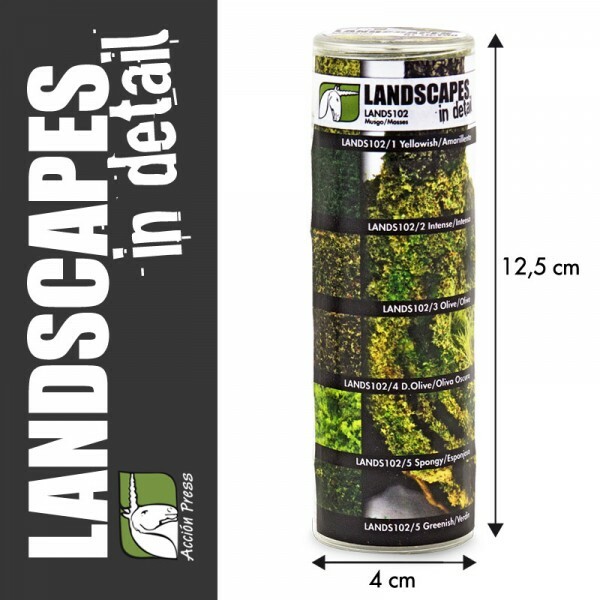 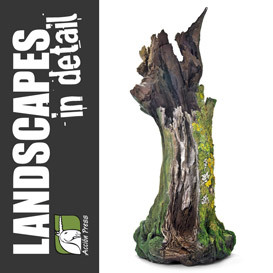 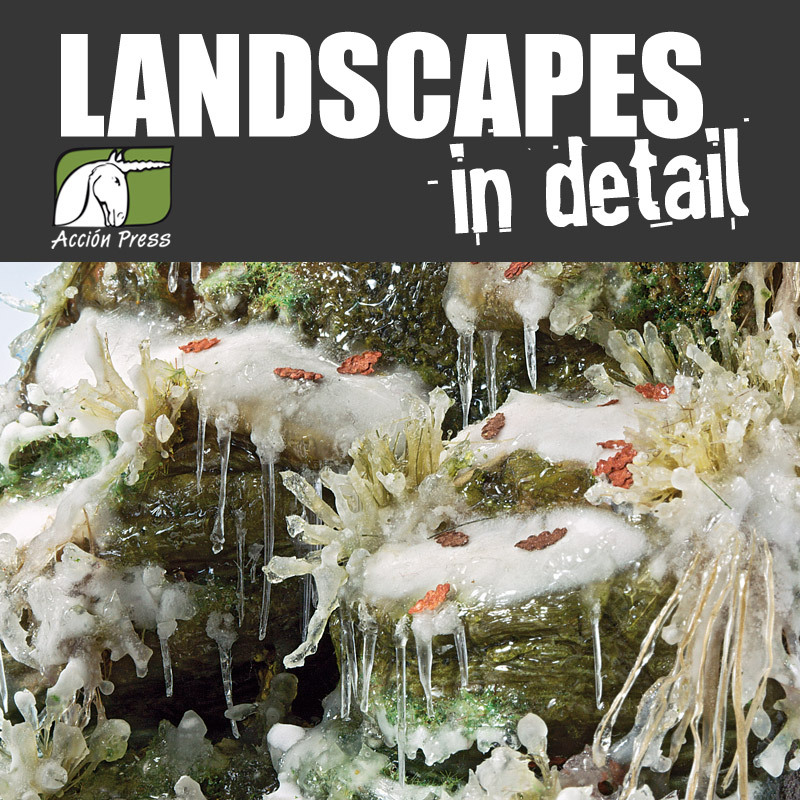 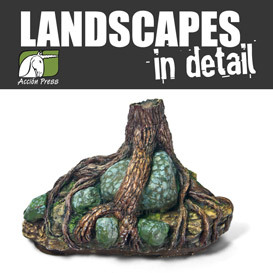 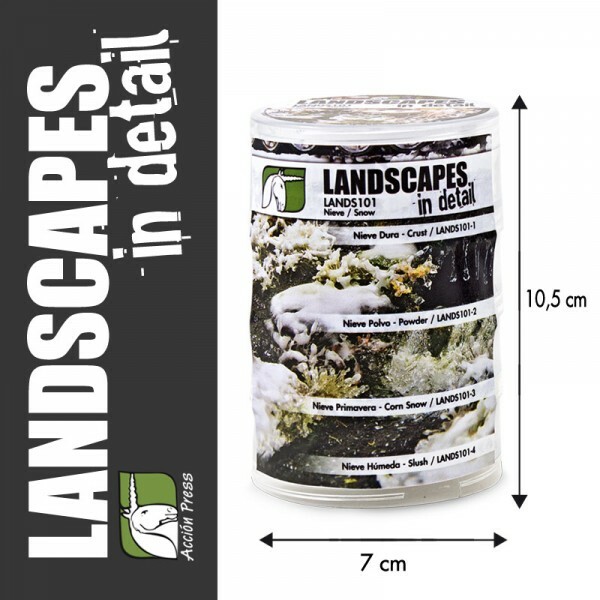 Acción Press are pleased to announce the release of our brand new entitled Landscapes in Detail, a new product line designed for making lifelike dioramas. 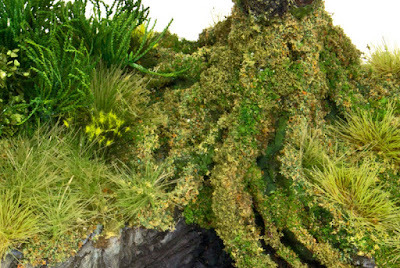 A series of accessories and products conceived by the master in dioramas art, Rodrigo Hernández Cabos. 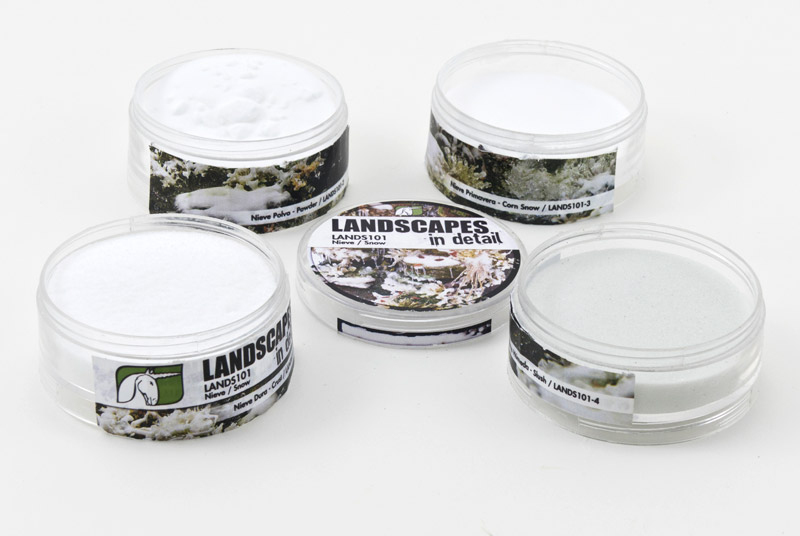 - Four different types of snow for recreating a large variety of snow states. 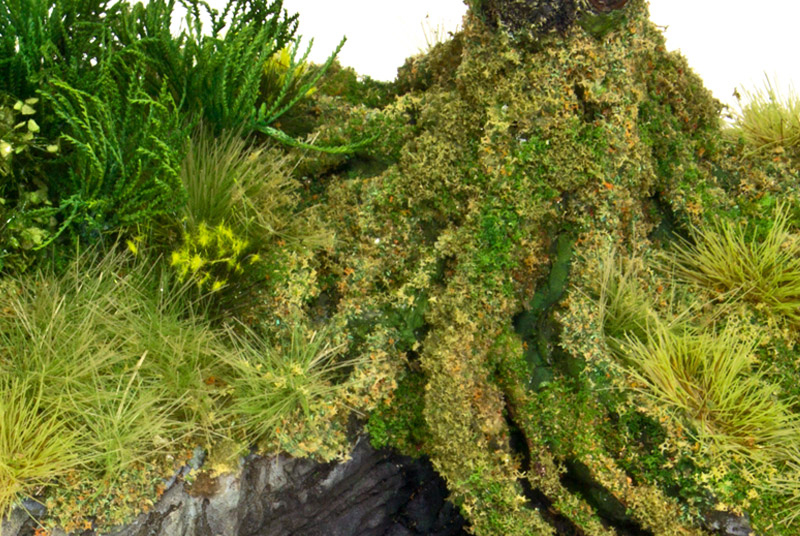 - Six special combinations to make the different hues adopted by moss in nature. 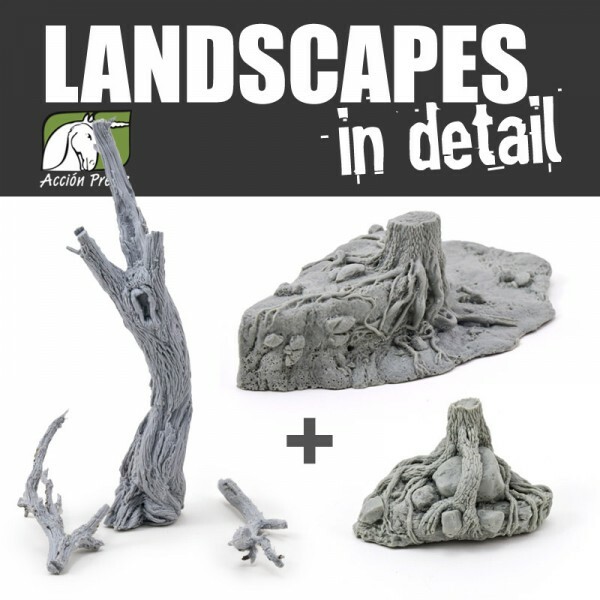 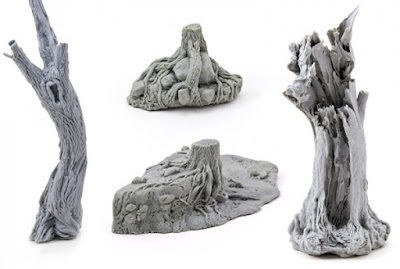 - High-quality resin bases and trunks to obtain a perfect reproduction of the complex shapes in nature. 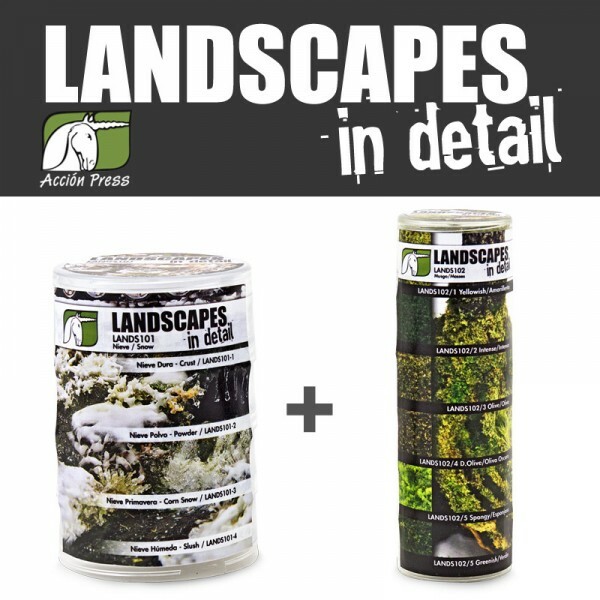 The products are in sealed stackable boxes with only one lid. The products are in four stackable boxes with only one lid. 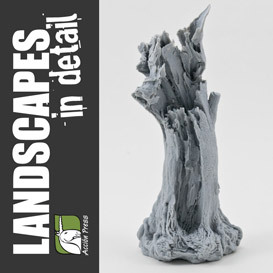 Piece in a high-quality resin.